Every time I filled my cart with goodies at mimtoy.com (always including the $45 centaur body, of course), I'd be looking at around $200 to check out. That's pretty steep. What I really needed was more information before taking the plunge. These dolls are really new, though, so it has been hard to get information about them that isn't a press release or just what's on the website. 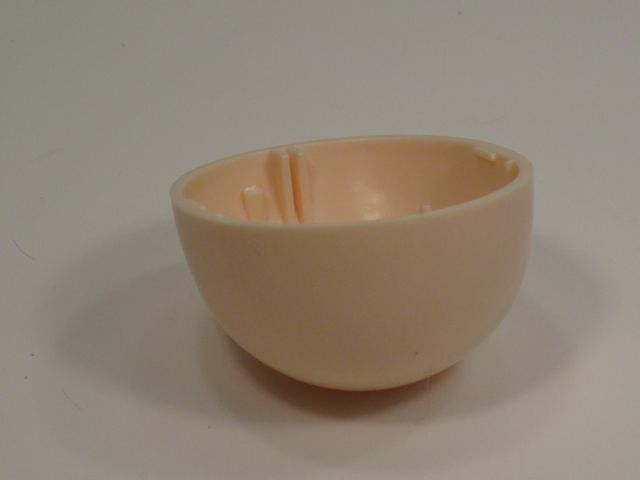 I searched and searched for non-catalog pictures, but came up with very little. 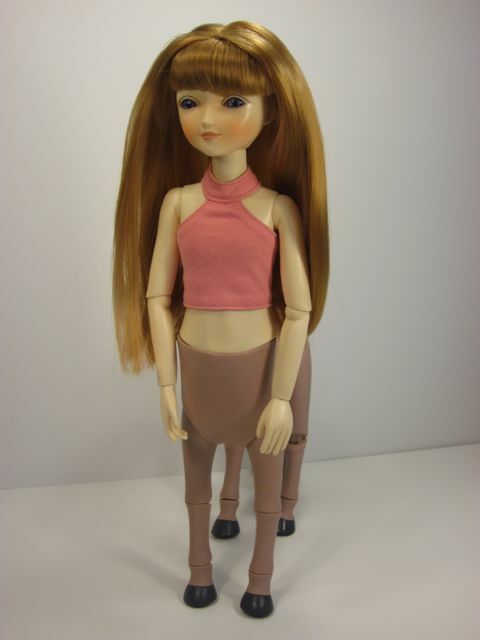 Just recently, I spotted these dolls in some candid shots from IDEX, and was reminded of how cute they are, and how badly I want a centaur doll. 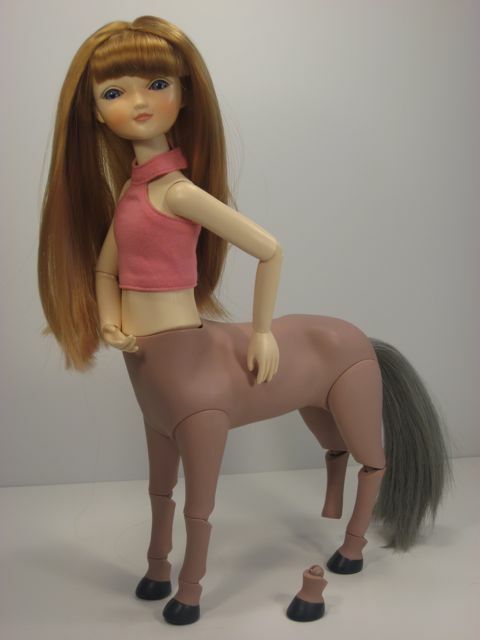 I decided that I would order the centaur body, scope out the quality of that piece alone, and then order the complete doll if I thought the horse parts were decent. That sounds reasonable, right? 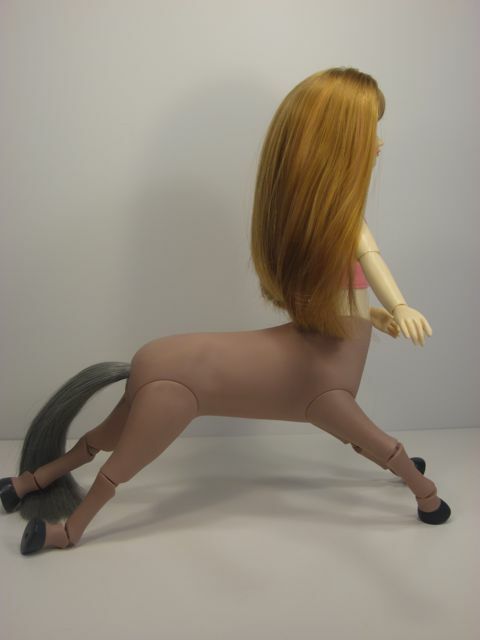 The centaur body came very quickly. Just look at it! 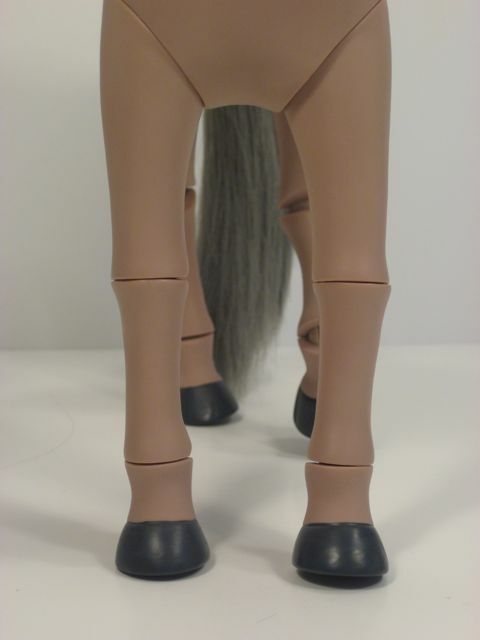 ...is about as far as I got in my investigation of the horse body before I rushed over to my computer (tripping over poodles and doll boxes the whole way) and ordered the rest of the doll. I mean, look at the packaging! It's a plastic bag, a piece of cardboard and a cardboard box. 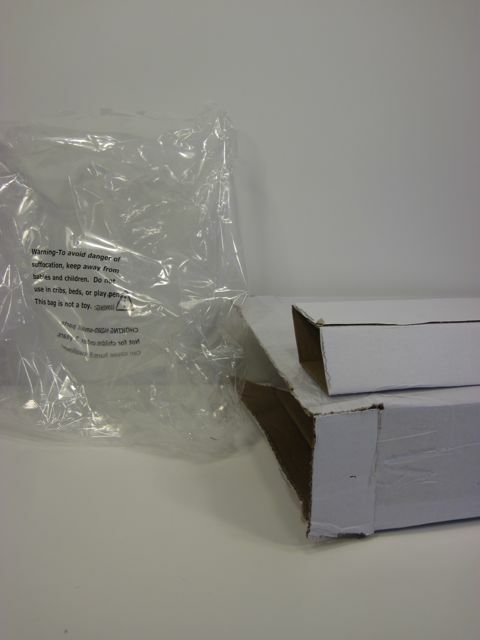 The website touts the company's conscientious approach towards packaging and waste management, but I always like to see before I believe. I'm not sure which took less time, getting the horse out of the box or recycling the packaging. I am a believer. In retrospect, I realize that if I had bothered to look at the horse body closely, the quality would have dissuaded me from spending more money on the doll. 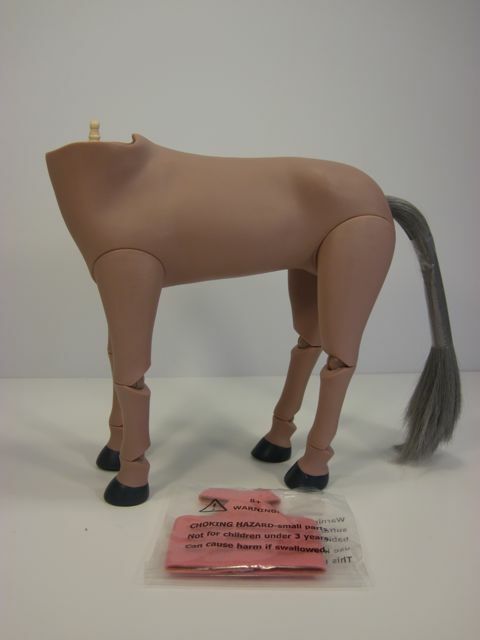 As it turns out, though, I am glad I didn't do a careful examination of the horse because then I never would have gotten my hands on the doll. 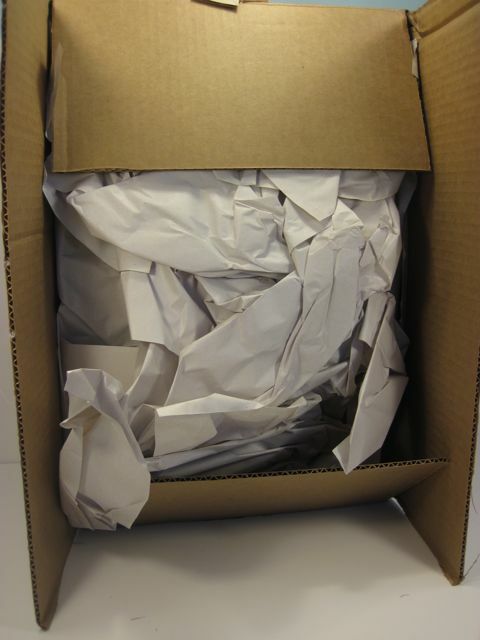 Cardboard shipping box with paper packing. 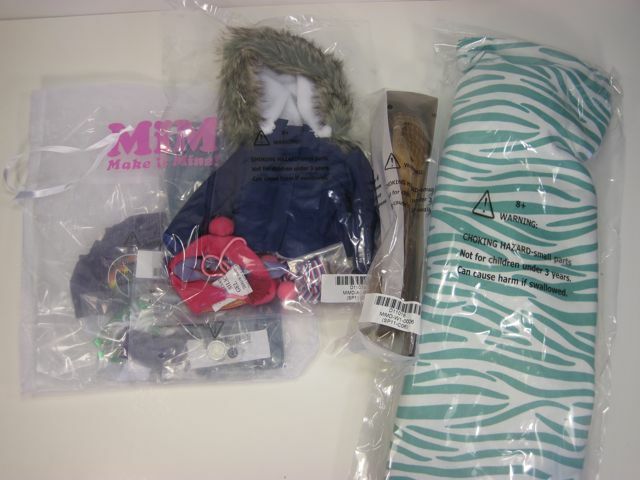 All of my items in plastic or cloth bags. That's a lot of plastic bags, but it's better than plastic boxes. 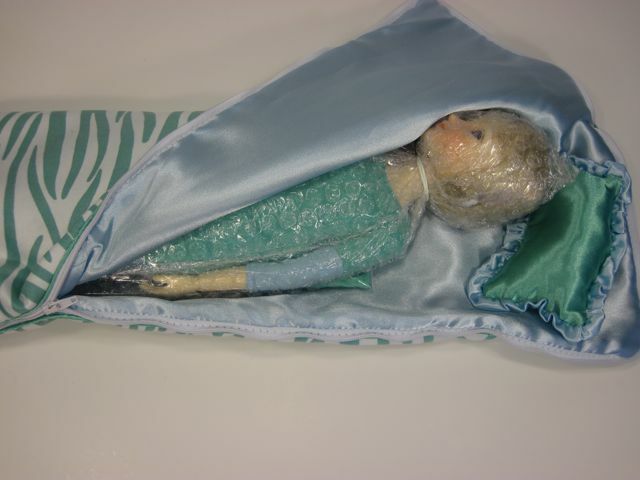 The doll herself comes in a padded fabric sleeping bag. Very clever! 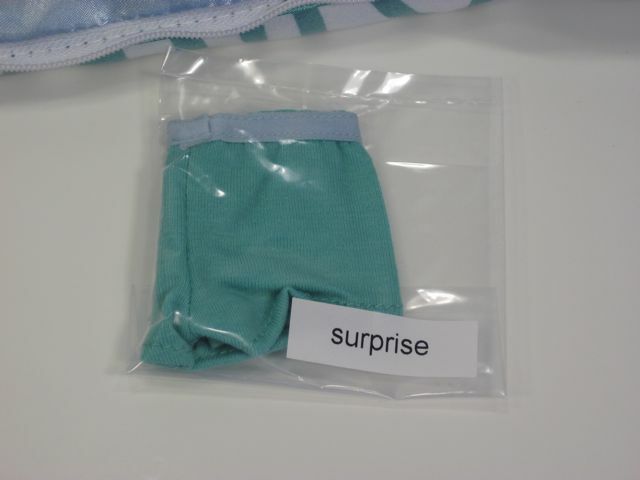 It's similar to the body bags that resin BJDs come in, but it is made of fun fabrics and actually looks like a sleeping bag so that you can use it for play. 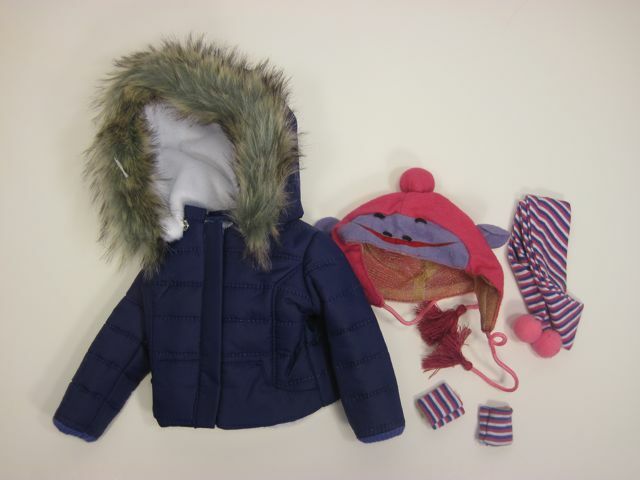 You could even buy the doll a tent and she could go camping with this sleeping bag. I would have loved that when I was a kid. The tiger print material is sueded and feels a bit funny, but it looks nice. 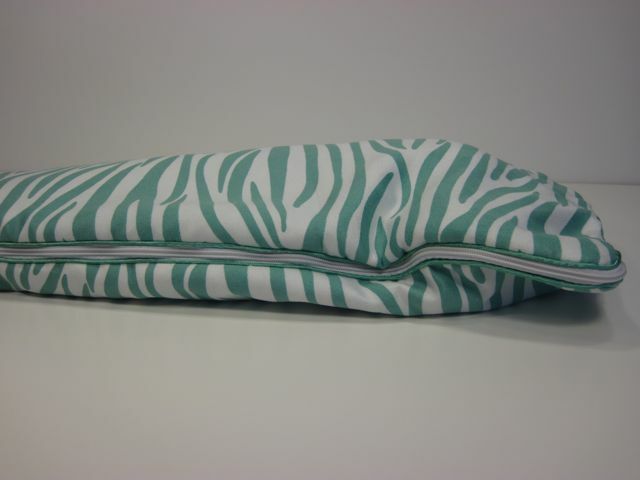 The liner of the sleeping bag is a soft blue satiny material. 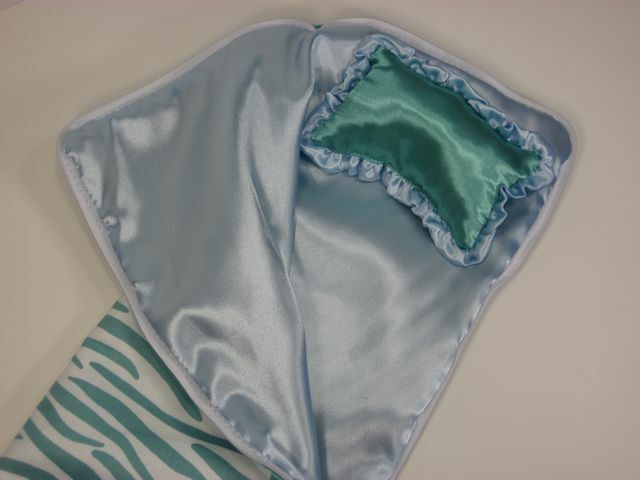 There's an adorable matching satin pillow that is held in place with velcro. The doll is shrouded in a layer of bubble wrap for extra protection. The best packaging I have ever seen. The other foot was in the sleeping bag. It snaps right back on. Phew! I very quickly freed MiM from her bubble wrap and sat her up. At first glance, it seems like she's not a very graceful sitter. She's a leaner...but I'll get back to that in a bit. She has a very unique face. 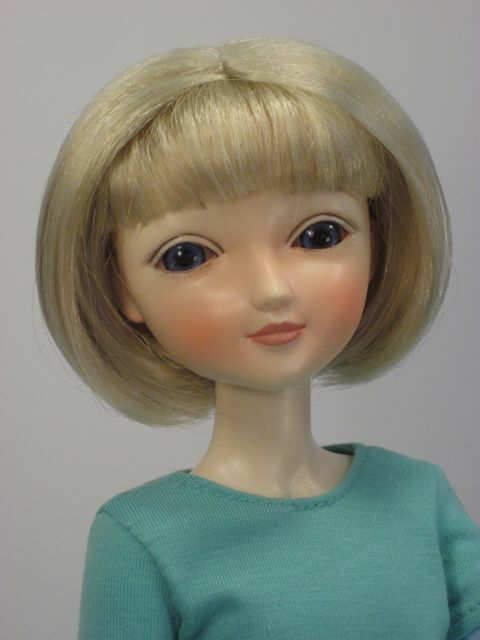 Her features remind me of the American-made Goodreau BJDs, which isn't surprising because MiM dolls are also designed by Paulette Goodreau, the artist and cofounder of the Goodreau Doll Company and Goodreau Doll Lab. Make it Mine LLC is a brand-new company launched by Paulette and Annette Goodreau. 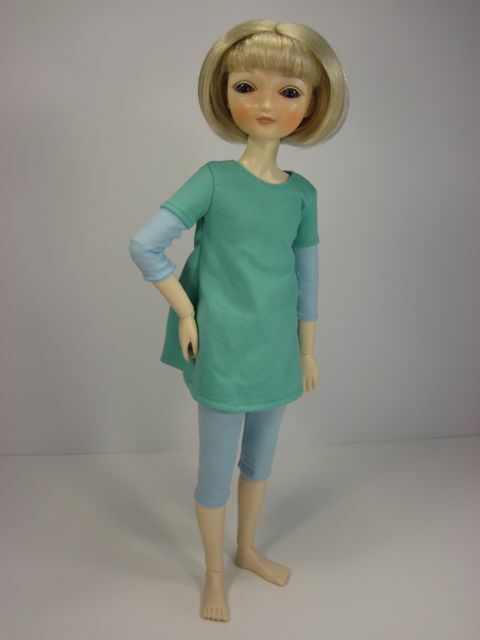 I think the serious-faced MiM doll looks a lot like the 10" Goodreau Minnie. They're clearly related. She has a cheery face with very wide-set eyes. 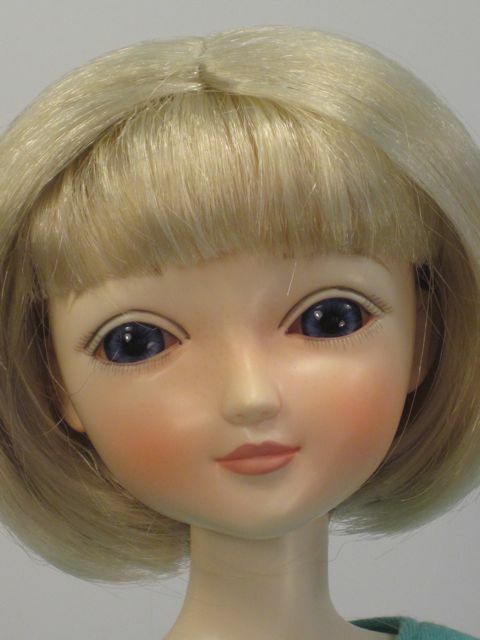 The doll comes with a short blonde bobbed wig with bangs. 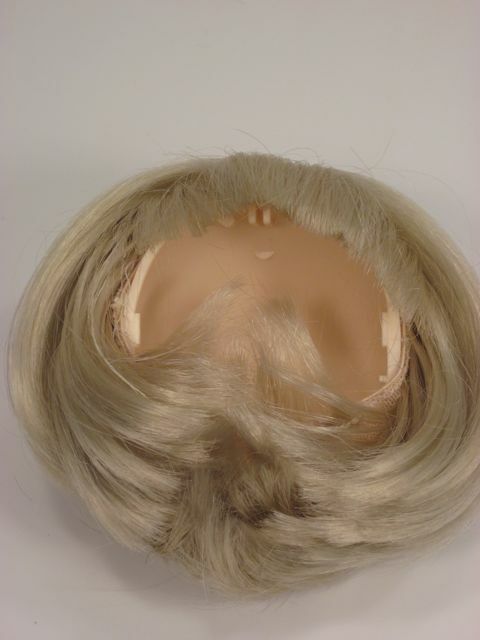 The hair is rooted to a canvas wig cap and is very soft, thick and manageable. The wig does not stay on, though. At all. Well, ok, I got the wig to stay on for a second, but you can't do anything with the doll (or even breathe too hard) or the wig falls right off. 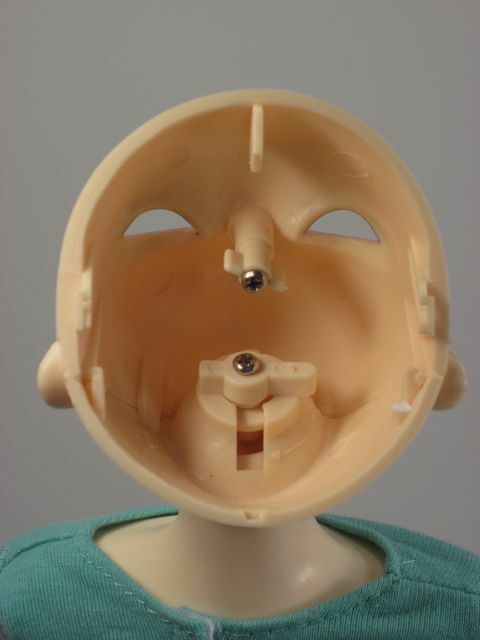 The head is a hollow, smooth plastic, so there's no traction for the wig cap. 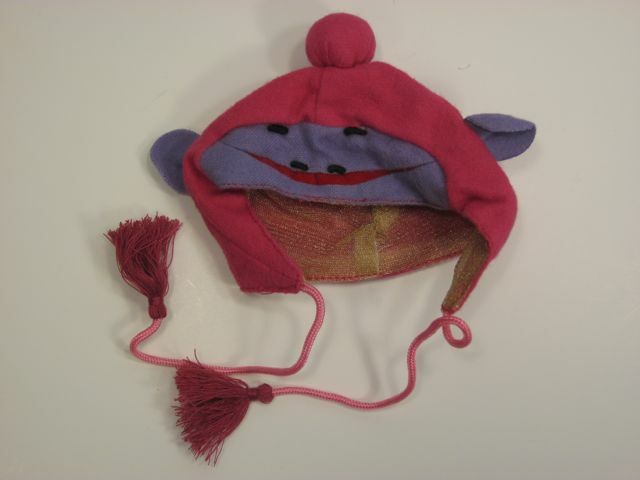 The cap doesn't have any rubber edging or a peg or anything to help it stay on, either. I didn't even have a nice thick rubber band, just two skinny old ones. I still wonder about how well the wig would stay on if someone was actually playing with this doll or carrying it around with them. 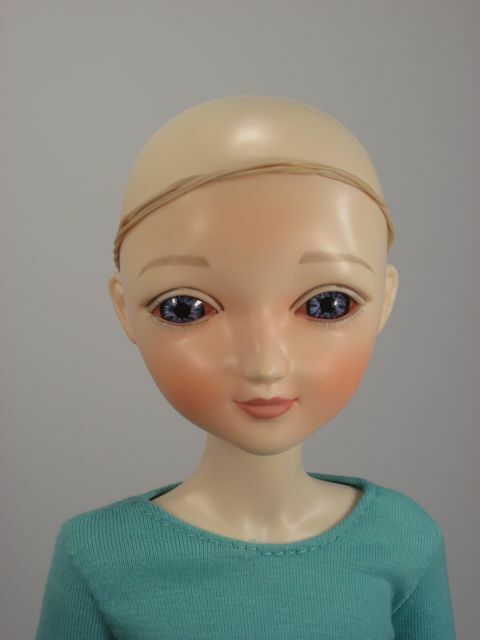 To be safe, if I bought this doll for my kid, I'd be tempted to glue the wig on, or attach a few velcro dots to the head and to the wig. 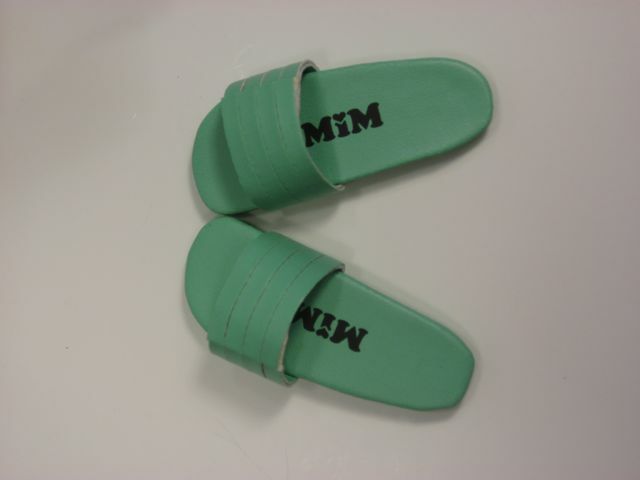 MiM makes the velcro suggestion and gives a few other tips on their website. It is very helpful. 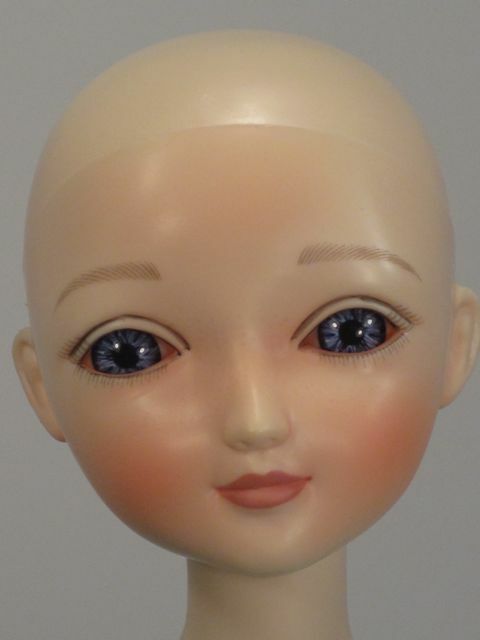 Another idea--the top of this doll's head comes off so that you can change her eyes, so why not just have the wigs permanently attached to a head cap that can be changed with the wig? Just a thought. They both have fantastic hair. Oh! I think I know who she reminds me of. She reminds me of the little girls Edward Gorey draws--not the creepy ones, the cute ones. Specifically, she reminds me of the lovely book by Doris Orgel, "Merry, Rose, and Christmas-Tree June." Now I have to find that book and read it again. That's an obscure reference if there ever was one. Sorry. She's Rose with blonde hair! There are two plastic latches held on with screws. 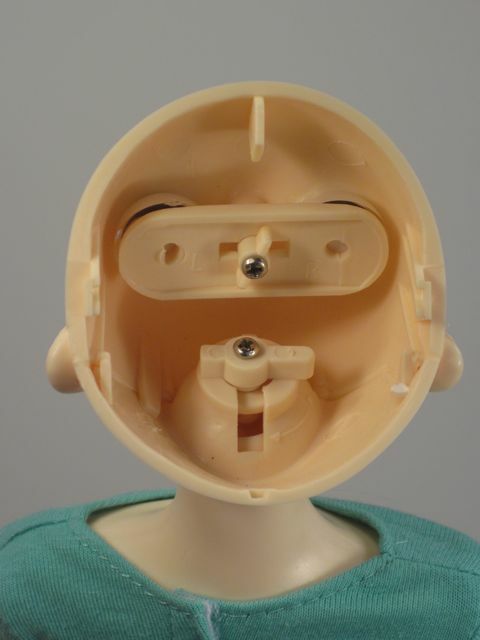 To get the eyes out, you just rotate the upper latch until it fits through the slot. The lower lever, I assume, is for removing the whole head. MiM doesn't sell single heads at the moment, but that would be an excellent addition to the catalog. I would definitely have bought the other face so that this girl could change her mood. Once the little latch is released, the eyes come right out. 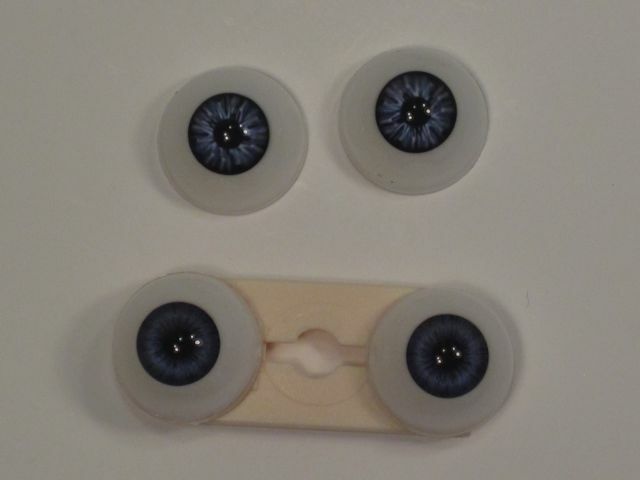 The eyes are mounted on a plastic holder. To change the eyes, you just pull one set off the holder and push the other set on. It's very smooth and simple. You could even have mismatched eyes! They look pretty good. Changing them was really easy. 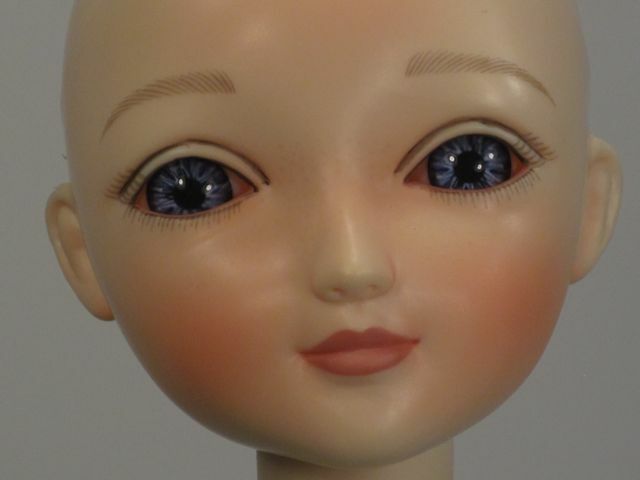 I have never had a fun time changing the eyes on my BJDs because usually the eyes are held in with some kind of putty. I am not very good at using that putty and it tends to make a big mess. It's also hard to get the eyes in straight, especially with a smaller doll. I really appreciated how easy this was! She has teeny tiny faint freckles that are very cute. 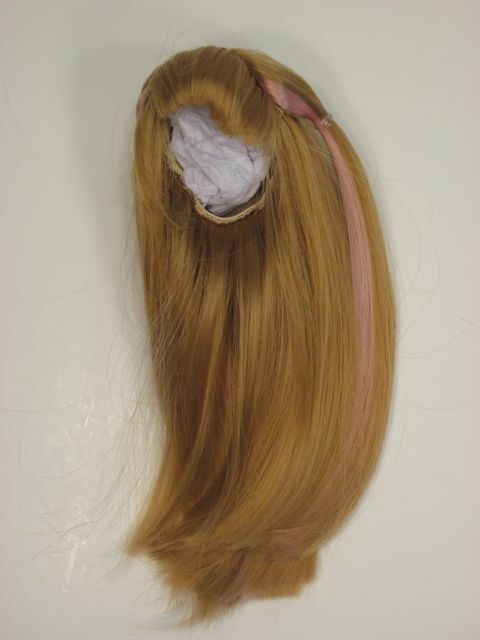 The extra wig I ordered has a longer cut with strawberry blonde hair accented in pink. It is super soft and silky. Maybe even nicer than the Lorifina wigs. A big clump of hair came out right at the beginning, but then nothing else fell out the whole time I was brushing and styling it. 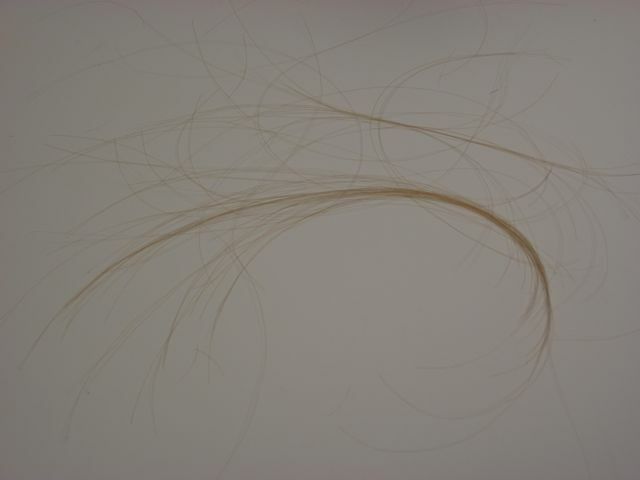 Probably just a random loose shank of hair. There's all kind of stuff going on here. I have to say, I put this wig on with the rubber band technique, and for the entire rest of her photo shoot (which included me sending the torso flying at one point...) the wig stayed put. I was surprised and impressed. Just a simple rubber band! Who knew? The bangs are a little bit crooked. I took off her very green outfit. 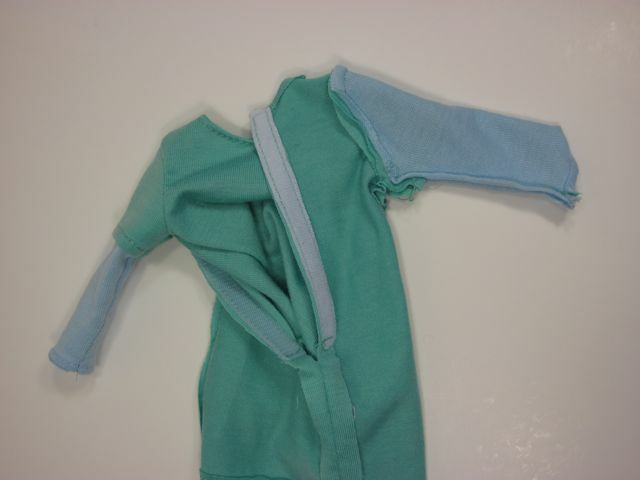 The shirt is all one piece and very nicely sewn together. The material feels like cotton. Her head can only turn from side to side, not up and down. 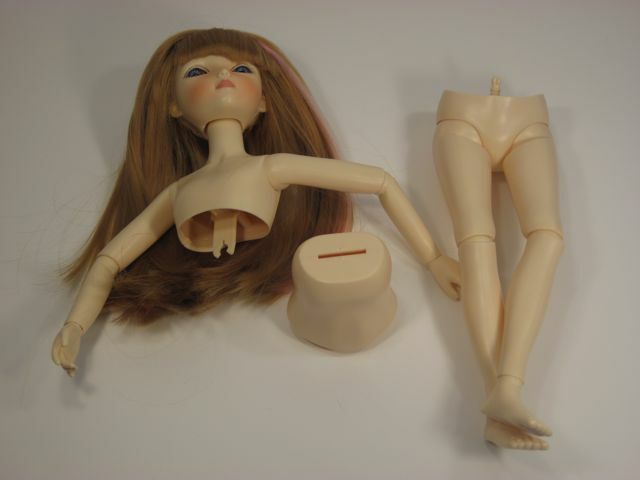 This probably has to do with the fact that the head is removable. 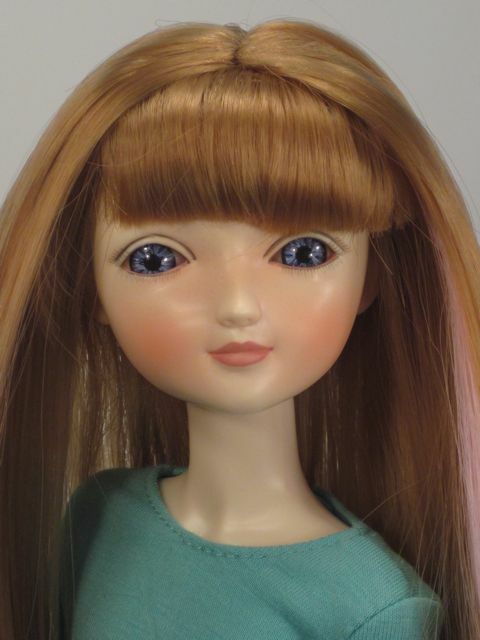 I really like it when dolls can look up and down, though. It adds a lot to the spectrum of realistic poses they can strike. 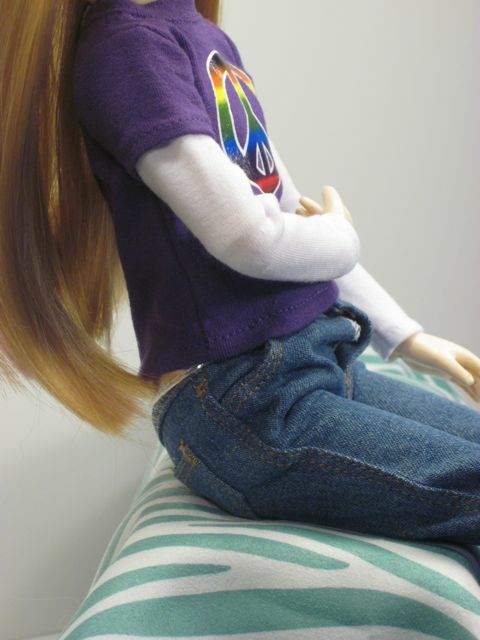 With this doll's tendency to lean backwards, a head that could tip forwards would have been a real bonus. The arms have three points of articulation. 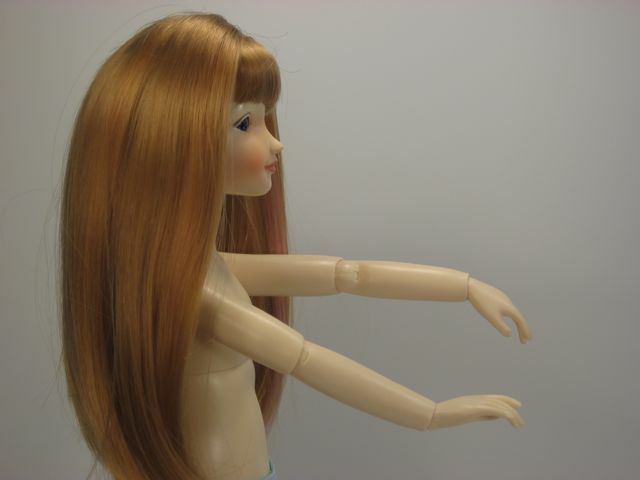 The motion in the shoulders and elbows is good, but the wrists are pretty stiff. 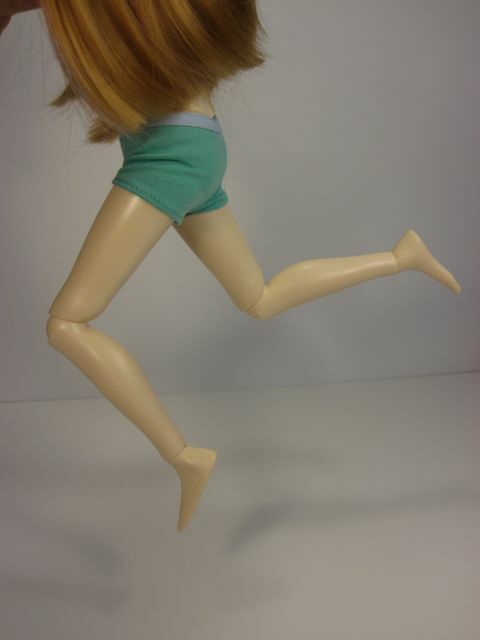 Her legs have nice articulation. She is jointed at the hips, knees and ankles. The knee joints have rotational movement, which is great. With her knees apart, she sits like a champ. This is a good pose for her. Her articulation overall is good. It is better than Lorifina's articulation, but not as good as Liv's (and by this, I mean the older Liv bodies, of course). Those feet fall off pretty easily--basically every time I tried to point her feet, one of them would snap off. So, three things I'd change about her movement: better wrist mobility, feet that stay on, and a head that can look up and down. Then she'd be close to perfect. 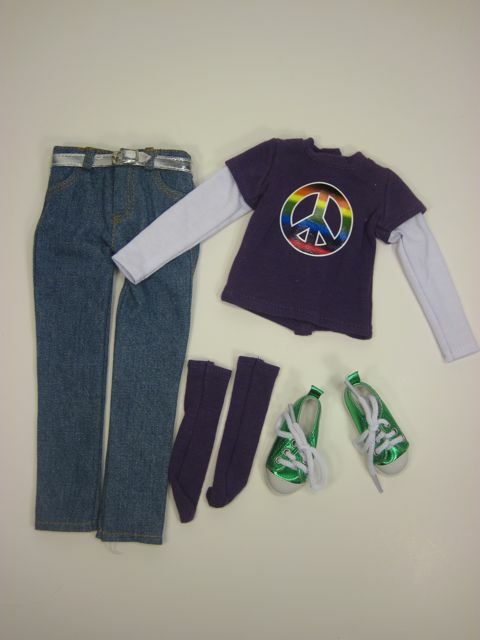 The outfit consists of a purple peace sign shirt, jeans, purple socks and glittery green sneakers. 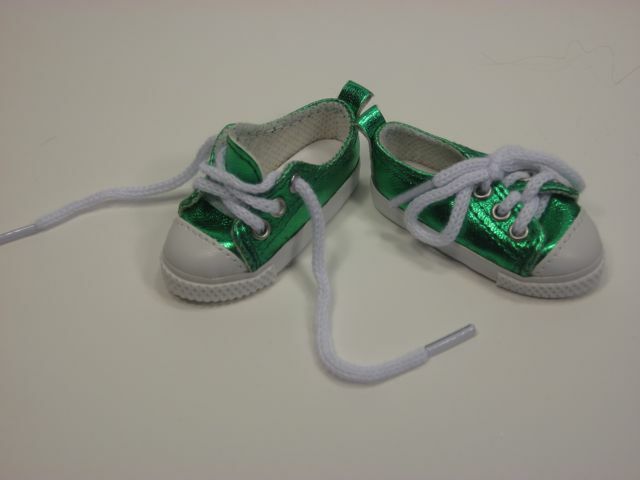 That's right--glittery green sneakers! All of the outfit sets on the website look great, but most of them cost over $30. This outfit was $28 and looked like it would match the accessory pack I bought. 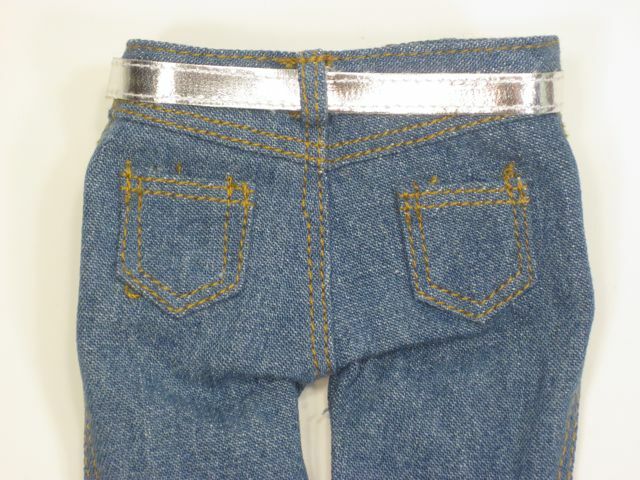 The jeans have excellent details. 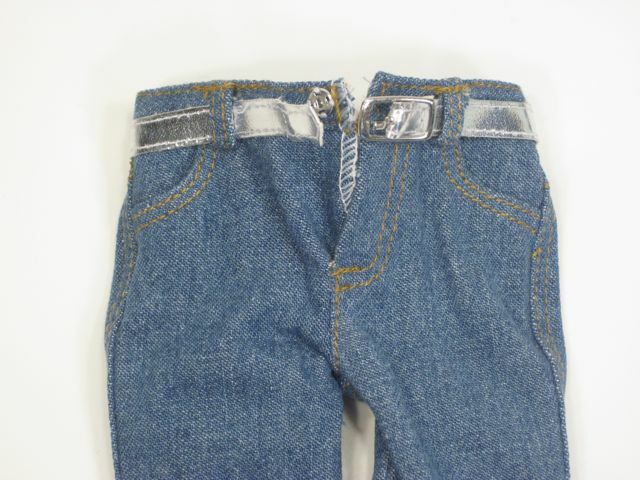 The silver belt really fastens and unfastens, and all of the seams in the pants are expertly done. I just wish there was a way to close the fly! This doll is really well balanced. She can stand on her own, even while striking some simple action poses. I think the sneakers help a bit with her stability, but she's very sturdy even in her bare feet. The pants really need a zipper fly. 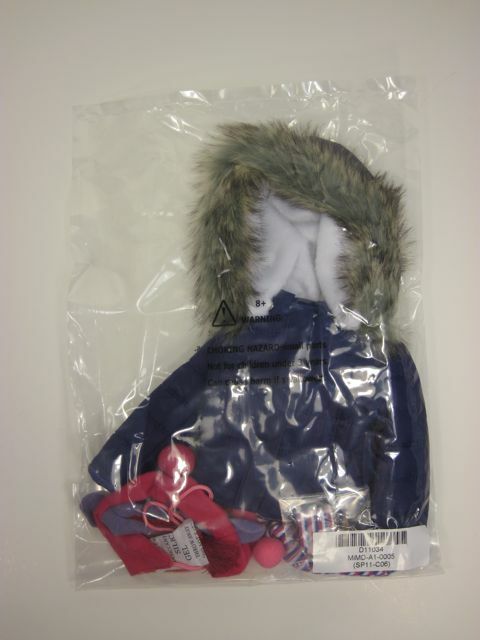 I also ordered an accessory pack that has a puffy winter coat and a monkey hat. 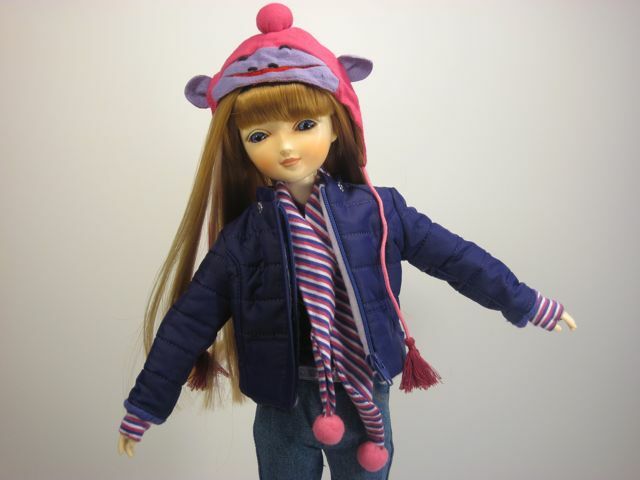 Animal hats are very popular where I live this winter, and so I thought it would be fitting to have one for my doll. Those are even real pockets. 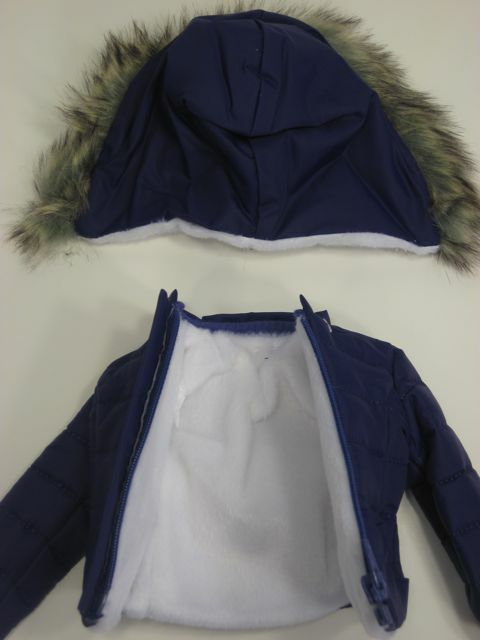 The hood is removable and is held on by three metal snaps. 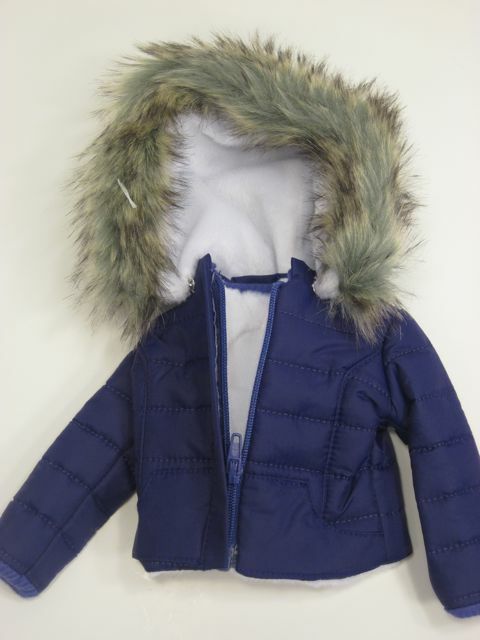 The fur lining is nice and thick. I love the whole look. Even the striped fingerless gloves are nice and really compliment the other pieces. Now I really wish I had gotten her violet eyes! 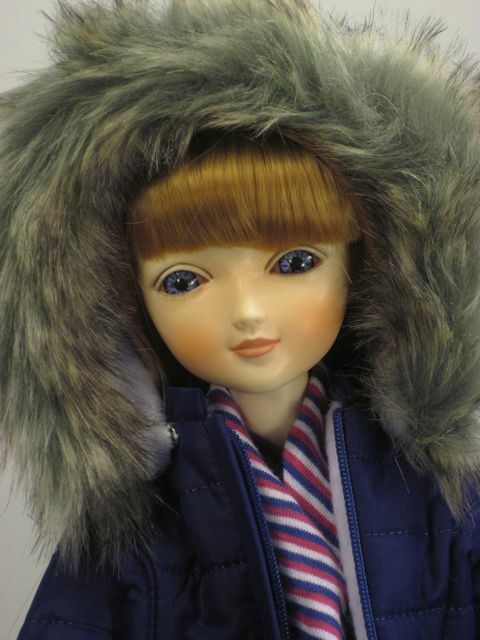 The last thing this doll needs is another jacket. 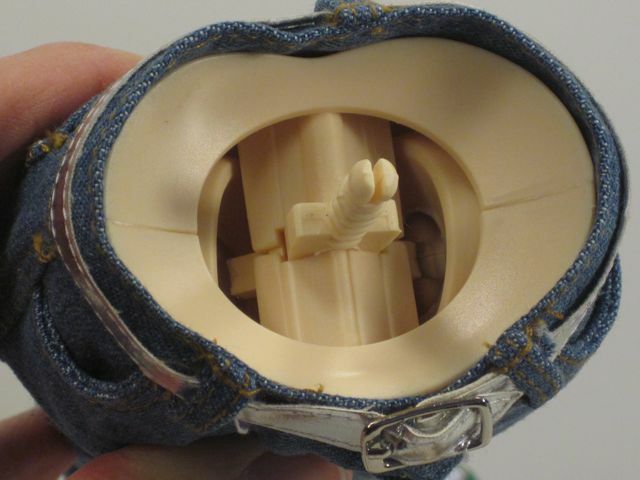 The torso can actually be separated into two pieces. It's exciting to contemplate the possibilities for customization here...I'm thinking wings. Looking up into her chest from her waist joint. A glimpse of the hip mechanism. She's gonna trip over her own feet. That's a big tangled mess of horse legs. The leg parts don't seem to quite fit together. 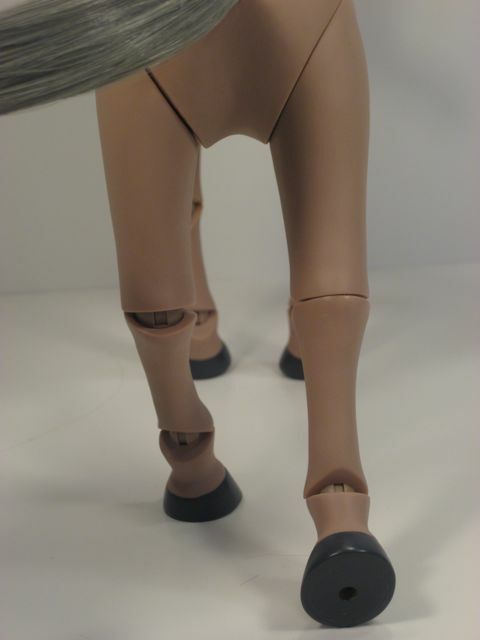 I moved all of the leg joints as far apart as they would go to give you an idea of the range of movement. 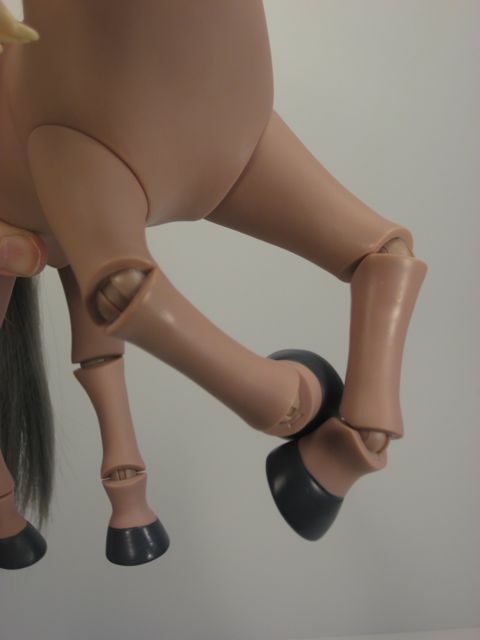 If I superglue that back together, the whole fetlock will loose its articulation. This is very sad. I was not thrilled with the articulation in the horse body anyway, but I was looking forward to trying out some other poses...or at least posing her on my shelf. I don't think a $45 horse body should break that easily. I emailed the company two days ago and I just got an email back today from Paulette Goodreau herself. She is really nice. She said she'll replace the horse body and she even asked me to send the old body back to her, personally, so she could take a look at it. If that isn't awesome customer service, I don't know what is. It's very nice to see someone so invested in the quality of their product. One of the many reasons why I love small companies. Ms. Goodreau mentioned that there are only three people running the MiM company, which seems remarkable to me. Hang in there! New foot on the way. This is an interesting doll line. It feels like there are some kinks to be worked out, but that is totally understandable for a new doll that is as ambitious as MiM. 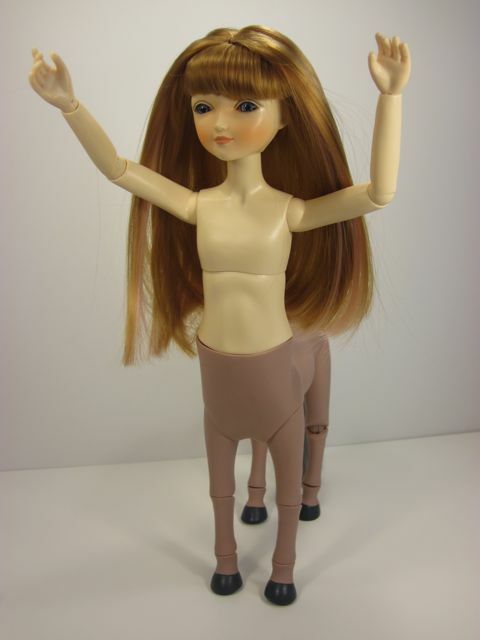 A lot of brownie points were irrevocably awarded to this company for the simple fact that they tried to achieve an affordable centaur doll. It's like the Jerry McGuire line, they pretty much had me at "centaur." Additional gold stars are awarded for the amazing packaging. This is definitely something I think all toy manufacturers should be much more responsible about. 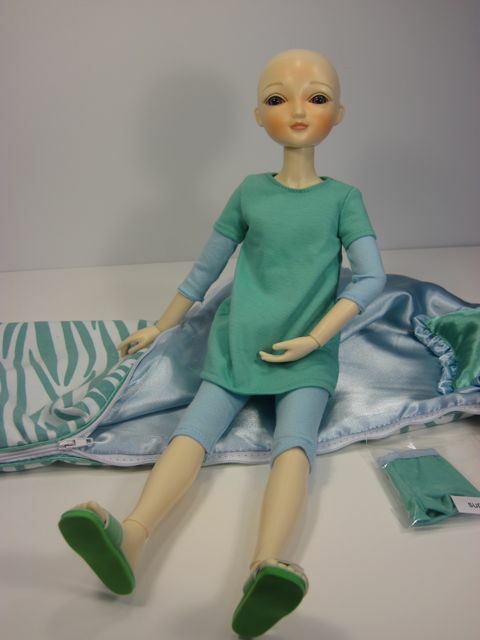 It was easy and fun to unpack this doll and easy and eco-friendly to clean up afterwards. 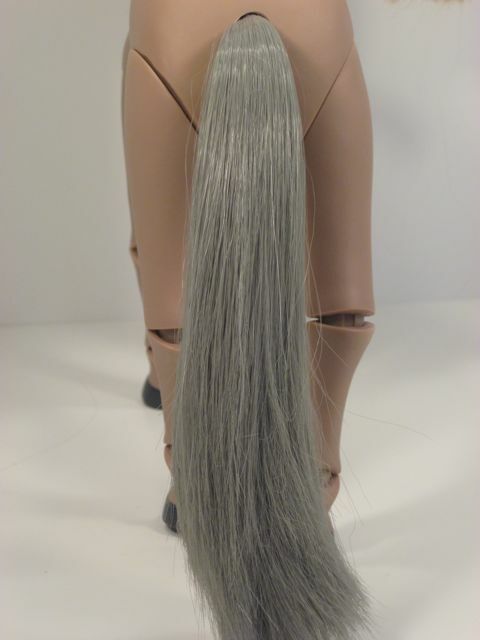 The problems with the doll, in my eyes, are that she is not as flexible as it seems like she should be, the horse body has strange jointing, and the wigs fall off. I know that there are easy solutions at hand for the wig problem, but I do like it when a play doll comes ready to be played with. As for the articulation, this is tricky to evaluate because I get the sense that there is a lot more in store for MiM in terms of customizing potential. If the body has less flexibility in order to accommodate new features that are being developed, I can't really judge the trade-off until I see the new features. For example, if additional heads will eventually be offered for sale, that makes up for the fact that there is limited neck movement. If new hands are in the works, perhaps that will compensate for the lack of expressiveness possible with the current hands. 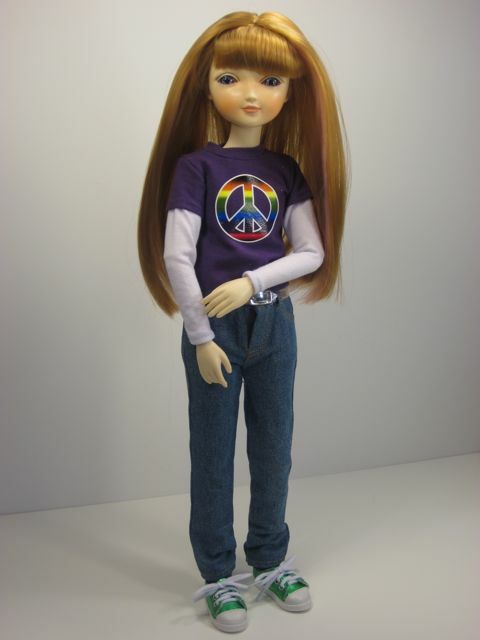 I am willing to wait and see because I feel like the good qualities of this doll far outweigh the bad. 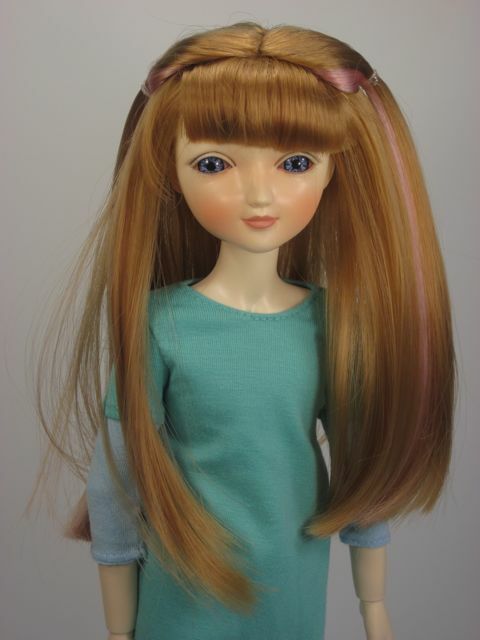 The best features of the MiM doll are her easy and extensive customizability, the sweet and unique look of her face, and the incredible quality and workmanship of her outfits and accessories. The eye mechanism is great. Changing bodies is very simple. The bodies available at this time are ambitious and imaginative. 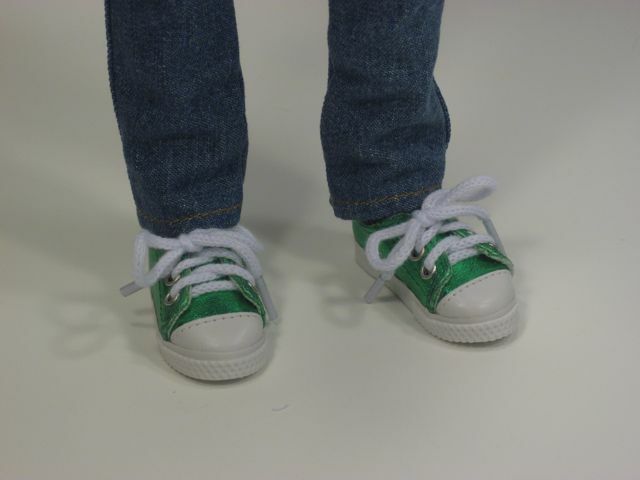 With mechanics and creativity like this, the possibilities for this doll are very exciting. She could have a body with a long dragon tail, or be a harpie or a faun. She could have the changeable expressive heads that I wanted Fashionista Barbie to have! She could have a torso with wings. 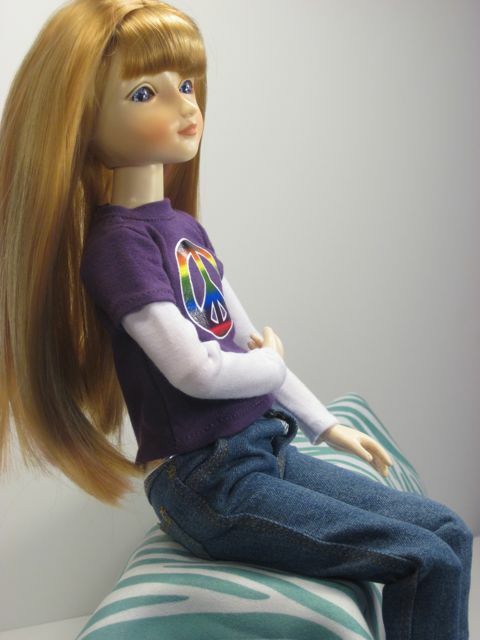 In an online interview, Ms. Goodreau mentioned that she wanted to design a doll that would "grow with" its owner. Maybe MiM could have differently shaped body parts so that she could match the physical maturity of the girl who owns her? Am I being too literal with my interpretation? Maybe just legs and a torso that get longer so she can actually be made taller? 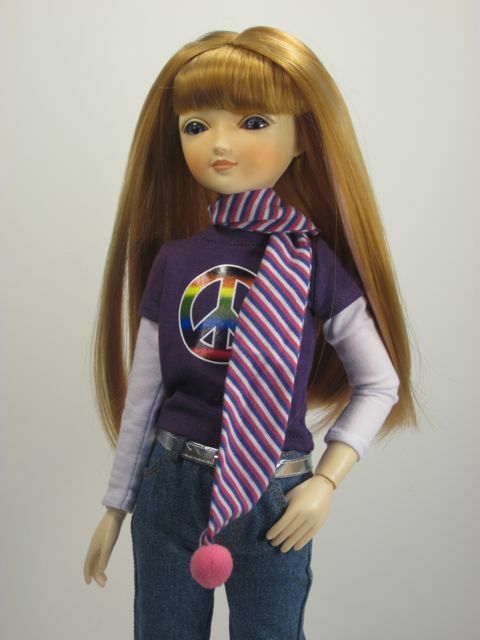 Perhaps Ms. Goodreau's notion was just that this doll can morph to suit the ever-changing personality of a young person. I'm on board with that, too. Bottom line? Arm yourself with some velcro strips for the wigs (and maybe some for the fly of the jeans...) and then go ahead and grab one of these cuties. I'd avoid the horse body for now, but you'll be glad to have something to leave out of your shopping cart once you see how many goodies you want to put in it. 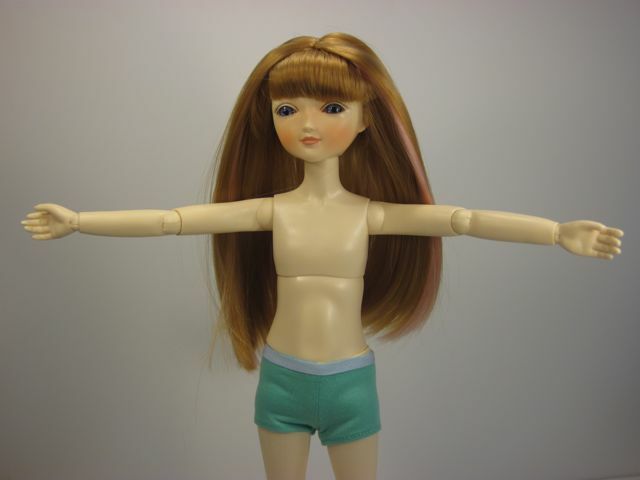 Very good to excellent for most elements of the doll. 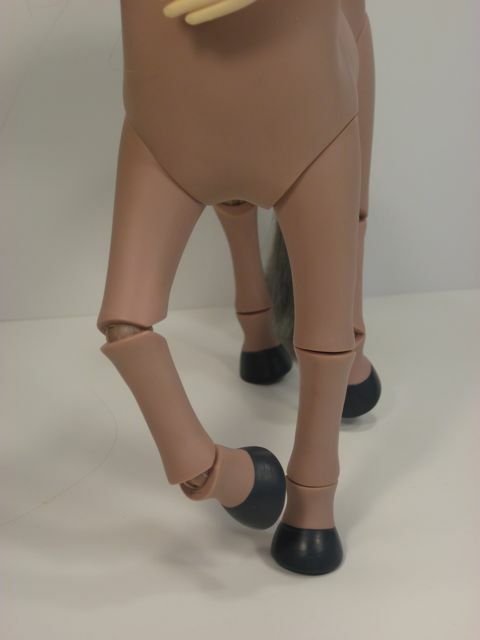 The horse body broke and the doll’s feet fall out easily. Articulation is good, mechanics of the customizable body are great. The wigs and clothes are excellent. Outstanding. Can’t ask for better than this. Hmm. I’d say the doll is right on the border between a play doll and a collectable doll, leaning towards play doll. The current versatility of this line is high. Lots of customizable elements, including centaur and mermaid bodies. The potential for expanding the versatility is huge. Recommended. An interesting product and a small company worthy of support. Great review! Do you mind if I link to it on a 1/6 forum I'm on? 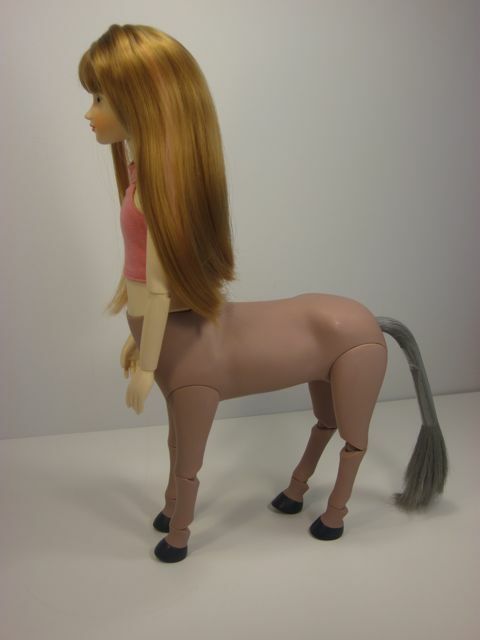 They have members who have made their own centaurs, I think they might be really interested in this. Just as a handy helper, another way to keep loose wigs on is to use scotch tape. Take a 2 to 4-inch length of tape, roll it up sticky-side out, and tape it around the doll's head as if putting on a hair-band. 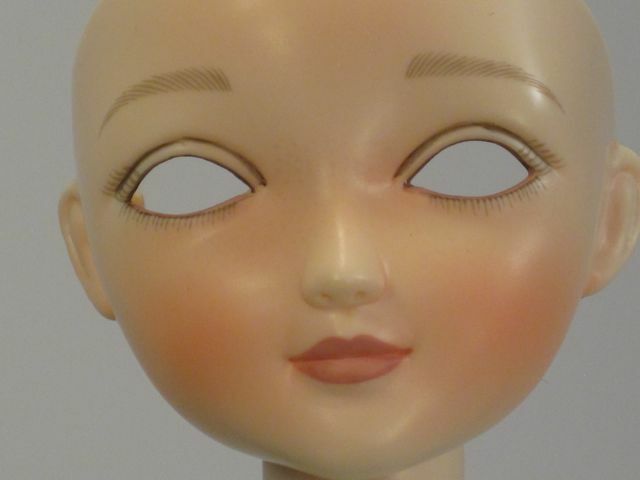 You can also put a separate length of rolled tape across the doll's head roughly ear to ear. Then put the wig on and press down. I've found that this will hold really well for a while and the wig can be taken off, exchanged, etc. while using the same tape for a while. This is in lieu of doing velcro dots which would be a more permanent solution. That's a good idea, Barb! I have tried double-stick tape on one of my BJDs before, but I never seem to have that kind of tape lying around the house. Rolled regular tape would be easier to find. I actually might try that on my MiM today. 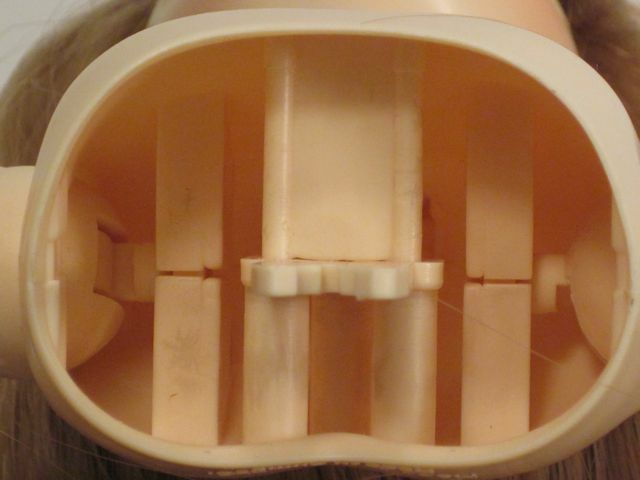 Although tape and rubber bands work great for me, I still think that a play doll that is actually getting played with by a child should have a better way to secure the wigs. 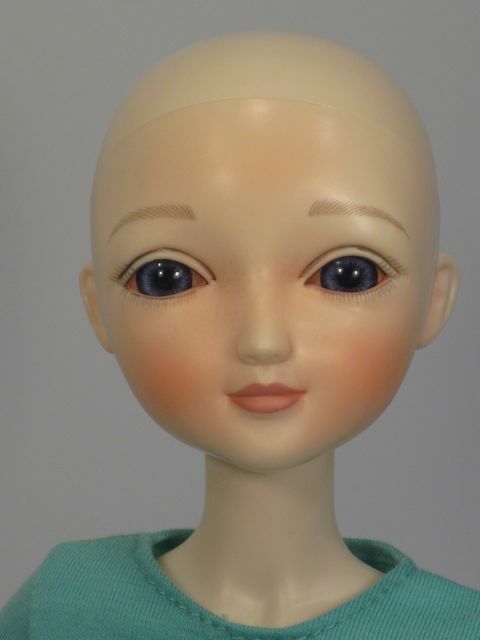 Another wig option is to add several strips of Dr. Scholl's Moleskin Plus (or the generic) to the head cap of the doll. This gives the wig a little grip, and keeps it from sliding off so easily. 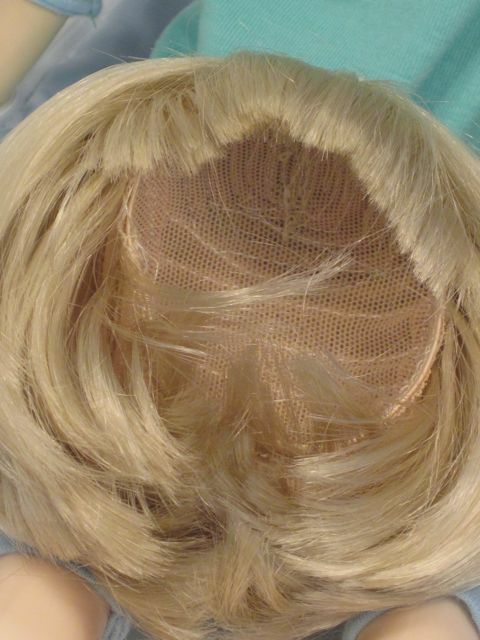 I use this technique for my BJDs and also my own MiM, and it works wonders, without the risk of pulling strands of hair out of the wig like velcro and tape can do. Thank you, Alison! I have never seen the moleskin solution in use before, but it sounds great. I like your suggestion that it would avoid snagging the hair. That is definitely a down side of the velcro and tape options. I think I'll go try to find that at the grocery store for my MiM and see what I can do with it. 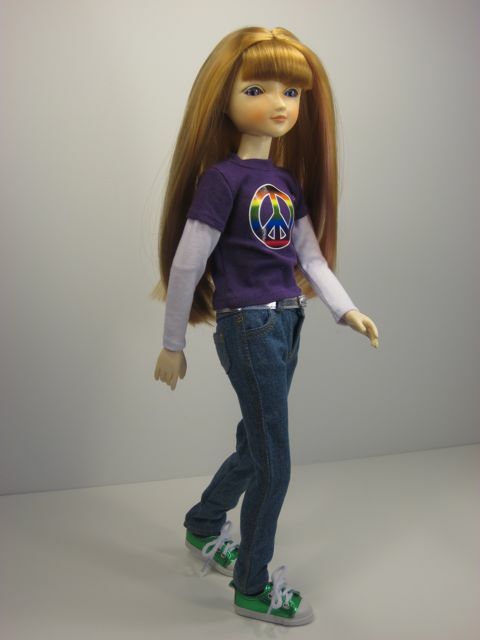 I want a MIM doll and BFC Ink clothes for Christmas. Will they fit? Hi! Same person! 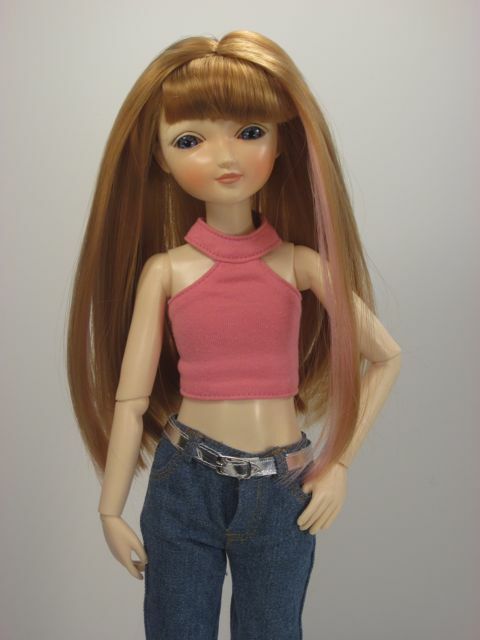 I contacted the creator of MIM, too, and asked if I could order the doll with the opposite outfit, (I LOVE pink!) and she agreed! She said there are also new wings coming out next year! YAY!! The creators of MiM are super nice, aren't they? That is awesome about the wings! Cool! I can't wait to see those. Thanks for sharing the news! I emailed Paulette and she is working on making wings and lots of other accesories. Do they sell Lorifina dolls anymore? 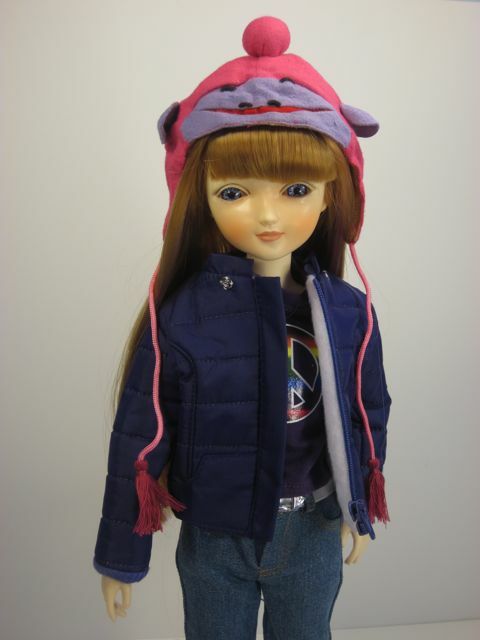 And I'm wondering if you can change the eyes on the Liv dolls. They seem like the best choice out of my 3 faves you blogged about. .....I want one. Or two. Maybe three. I keep reading your review over and over again and it just makes me want to buy my own MiM doll. How do these guys compare to Moxie Teenz? 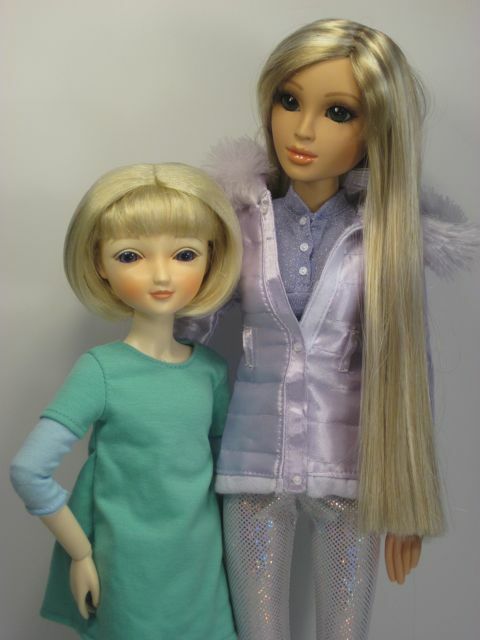 I mean, can they share clothes/shoes/wigs and which doll has better articulation? If I may ask; what ever happened to this Brand? Was this ever brought to the market? 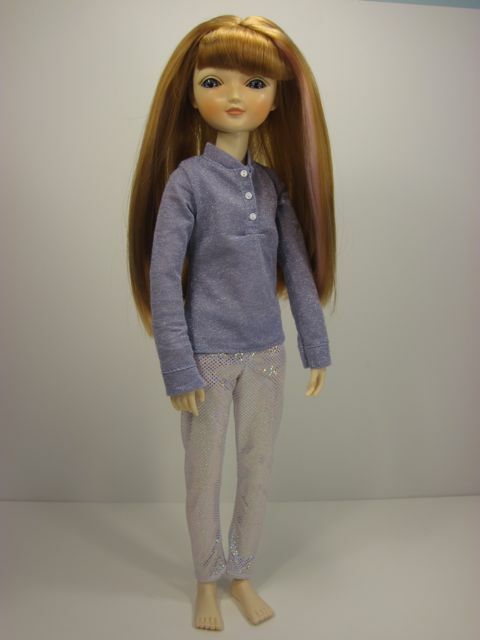 This doll line was just relaunched in April 2015 on the website mimdolls.com. I never even heard of it when it was first introduced back in 2012. 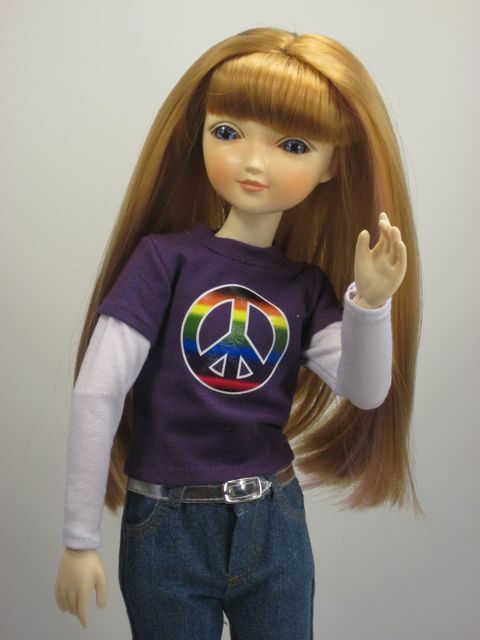 Someone sent me a link for the re-launch, and when I Googled the name to look for more photos of the dolls, this original review from 2012 came up. According to the website, both Paulette Goodreau's mother and sister Annette passed away shortly after the dolls originally came out. So all was put on hold until this recent re-launch. 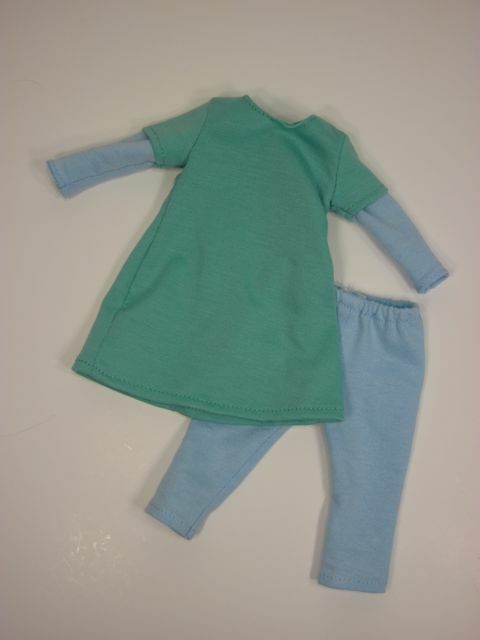 Looks like the same products, but you cannot customize the initial doll that you buy. 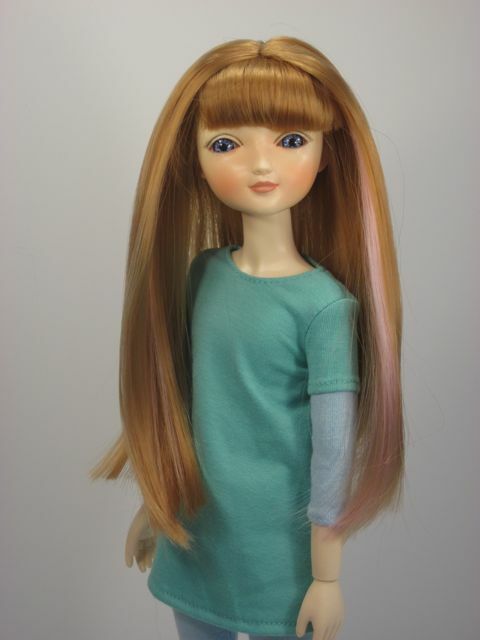 They have four doll styles to choose from, then you can buy wigs, eyes, clothes, etc. to change her up. Looks like fun. I may go ahead and buy one! Emily, Have you ever compared her body size to an Ellowyne Wilde. I'd like to know if they can share clothes. 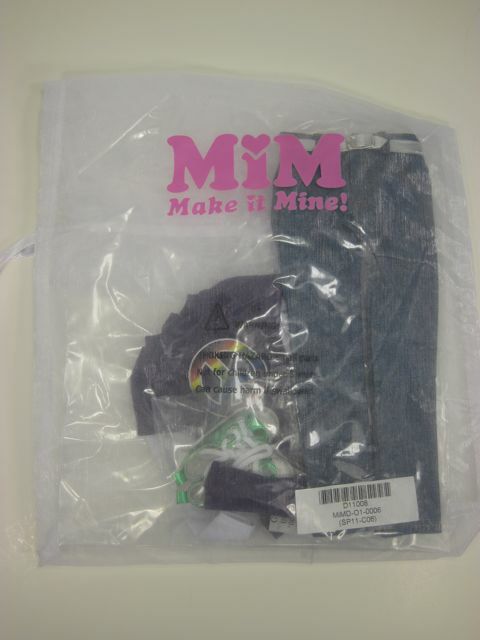 Has anyone else ever had problems buying from mim website? It never asked where my order was being sent to. Was I scammed? I am wondering if this website is active also???? Help! 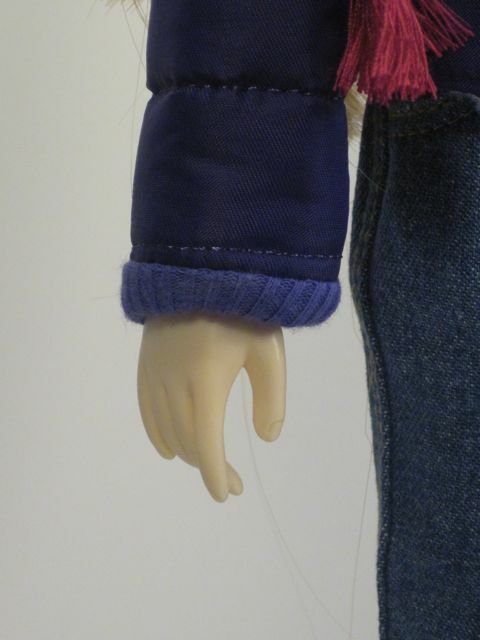 The right foot on my doll broke-any suggestions? I called and was told Kim Lasher could help however since I did not purchase from her she may not be able to replace the foot. If worse comes to worse any suggestions? Hello I need help I need to replace the left foot that is broken.